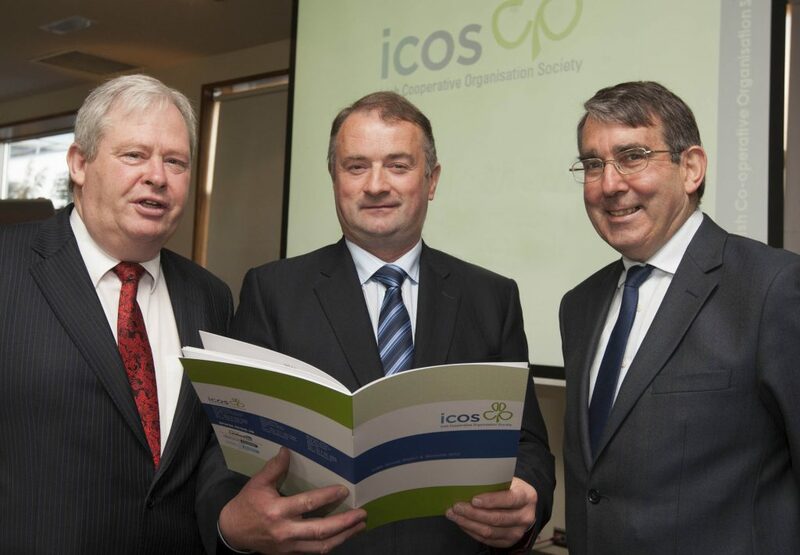 Bertie O’Leary has been re-elected President and Martin Keane has been re-elected Vice-President of ICOS, the Irish Co-operative Organisation Society, following a unanimous vote by the Board of ICOS. Mr O’Leary is Chairman and a board member of Dairygold Co-operative Society. Mr Keane is Vice-Chairman of Glanbia Co-operative Society. Bertie O’Leary is from Ballyvourney, west of Macroom, Co. Cork. A dairy farmer who has served on the Dairygold board since 2005, he has served at various levels on the Dairygold representative structure for 23 years. He was appointed Chairman of Dairygold in January 2012 having previously served as Vice Chairman. Prior to his current role as President, Mr. O’Leary served as Vice-President of ICOS and Chairman of the ICOS Dairy Committee. He is also a current director of the Irish Dairy Board and the outgoing chairman of the Irish Milk Quality Co-operative Society ltd.
Martin Keane was appointed to the Glanbia Co-operative and Glanbia plc boards in 2006 and currently serves in the capacity of vice chairman on both boards. He is also a director on the board of Glanbia Ingredients Ireland Ltd, the Irish Dairy Board and ICS Europaks Ltd and a former director of Co-operative Animal Health Limited. Martin farms at Errill, Portlaoise, Co. Laois and has completed the ICOS/UCC Co-operative Leadership Programme. 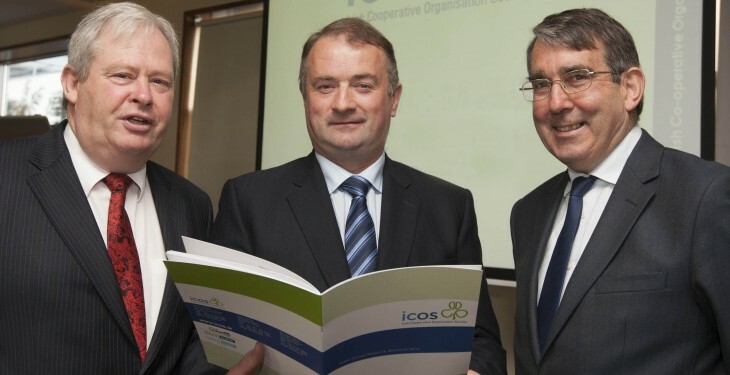 ICOS – the Irish Co-operative Organisation Society represents co-operatives and organisations in Ireland – including the Irish dairy processing co-operatives and livestock marts – whose associated businesses have a combined turnover in the region of €14 billion, with some 150,000 individual members, employing 12,000 people in Ireland, and a further 24,000 people overseas.